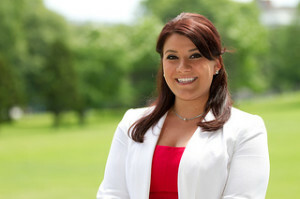 NEW BRITAIN, CONN. (June 12th, 2013) – Erin Stewart will kick off her campaign for mayor at Stanley Golf Course’s Whinstone Tavern on Thursday, June 20 at 6:30pm. The kickoff announcement is open to the public. State and local officials will be in attendance, including State Senator Art Linares of Westbrook and Torrington Mayor Ryan Bingham. Linares was elected to the state senate at age 24, while Bingham was elected mayor at age 22. Stewart, 26, serves on the Board of Education and has volunteered on community panels for the past decade. News of her announcement has created a buzz throughout the city this week. Stewart says she will push for unity by building coalitions while working to reduce classroom sizes and improving the city’s business climate. Admission to the Stewart for Mayor announcement is free.